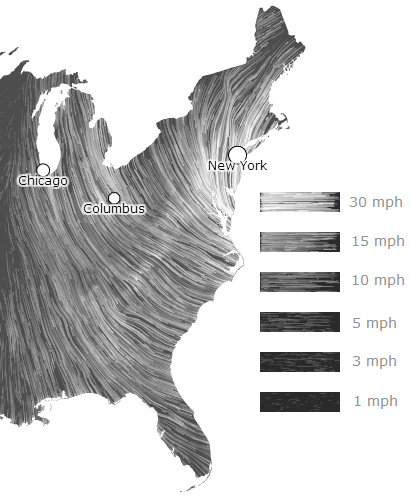 The wind map is a visualization of the surface wind circulation in the United States. The data, updated hourly, is pulled from the National Weather Services' National Digital Forecast Database. 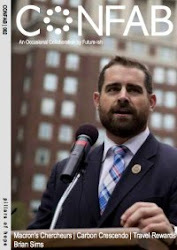 The map is intended to draw attention to the massive amount of renewable wind energy that flows across the United States, most of it not utilized.